Should self-published authors think more about print? Don’t get me wrong. I’ve embraced e-books as both reader and author, and it’s obvious that for the self-published writer the medium has compelling advantages. It has lowered or removed production and distribution costs. It’s enhanced the ability to sell online and so bypass both bookshops and the traditional gatekeepers of publishing. For these reasons it’s been a major factor in the explosion in the popularity of self-publishing. Therefore the temptation, for many, is to ignore print completely. I don’t have any figures to back it up, but it’s very probable that a substantial proportion of self-published titles – perhaps even the majority – are available only as e-books, and often only in Kindle format. But are we missing a trick by ignoring the humble printed book? It’s not just that I like them – though I do. In fact I still read them, tending to alternate between physical books and my Kindle. E-books are all very well, and their advantages are obvious, but sometimes you just can’t beat the look, feel and even smell of the printed page. (You just can’t sniff a Kindle. Or more accurately, you can, but (1) it doesn’t really smell of anything, and (2) it looks even weirder than sniffing a book.) And it’s just nice to have one part of my leisure time that doesn’t involve staring at a screen. Plus, the batteries never run out and it isn’t the end of the world if you drop in the bath. And probably no-one will steal it. To be honest, that’s the main reason why I put both of my novels into Createspace, to make them available in paperback as well as Kindle editions: so that I could see my own work in print. (It certainly wasn’t the economics – more of that below.) Seeing my name (well, my writing name) printed on a spine on my bookshelf wasn’t my only motivation for starting to write, but I don’t think I’m alone when I admit it was a pretty big one. And the point is, paper books aren’t going away any time soon. The ‘print is dead’ mantra always struck me as over-simplistic at best, tinged by a smug techno-arrogance (look at those Luddites clinging to their dead trees! ), and mixed also I think with a kind of wishful thinking, the hope that one simple world (all is print) would be quickly and smoothly supplanted by another (all is e). The truth, as so often, has turned out rather more complicated. It’s now widely known that e-book sales are levelling off. To some degree that was predictable – explosive, exponential growth cannot go on forever in anything. It doesn’t mean that e-books won’t dominate the future of reading – it’s hard to believe they won’t. And they will continue to grow and develop in ways that are hard or impossible to predict right now. But print has proved a remarkably stubborn old goat. Take this article, which includes the startling statistic that among 1,400 16- to 24-year-olds in the UK, approximately 62% said they preferred print books over e-books. Yes I know – all statistics need to be taken with a bucket of salt – but it does seem that it’s not just oldies who are hanging on to their paper products; even the younger generation can see the point of print. It’s a pragmatic decision – which format is best for my needs? And those needs will vary depending on the situation. I’ll happily read an e-book, but I’d rather take an old-fashioned paperback onto the beach – the sand won’t bugger it up and no-one will sneak up and nick it when I doze off for five minutes. But another statistic quoted in this article also caught my eye: that 60% of e-books downloaded in the US are never read. The very cheapness, the sheer ubiquity of the e-book may have become one of its biggest weaknesses. So easy and cheap – often free – vast numbers are crammed onto the world’s e-readers, far more than their owners could every realistically read in their lifetimes, doomed to gather digital dust. If you’re giving away your books for free to garner attention and the odd review, that’s sobering news. Not all paper books are read either, but they’re harder to ignore for ever when they sit looking accusingly at you from your bookshelf; and if you’ve paid more for it, the perceived value is higher. Also, we forget the fact that not everyone has an e-reader. More people have tablets, but those all-singing, all-dancing devices aren’t necessarily the best for reading. It’s hard to concentrate on a book when the device keeps pinging every five minutes because you’ve got e-mail, and there’s the ever-present temptation of a quick game of Temple Raider. So far, I’ve sold about as many paperbacks of my books as I’ve sold Kindle editions. Now I’m pretty sure that’s not everyone’s experience, and it’s also true I’ve sold very few of either, but still. I know that some people wouldn’t have bought my books at all if they weren’t available in paperback, even if they do cost more. Cost. That brings me neatly onto one of the main drawbacks of Createspace and other ‘Print on Demand’ book programs. I know something about print technology, and it’s an unavoidable fact of POD that the cost per copy will always be that much higher. The very ability to produce single copies cost-effectively precludes any economies of scale. That’s why you can’t price your Createspace paperback as low as you’d like, and why you’ll never match the price points of the mega-sellers from James Patterson and J.K. Rowling. Their books are printed in thousands and tens of thousands at a time, on monster printing presses a world away from the glorified photocopiers that serve the POD market. 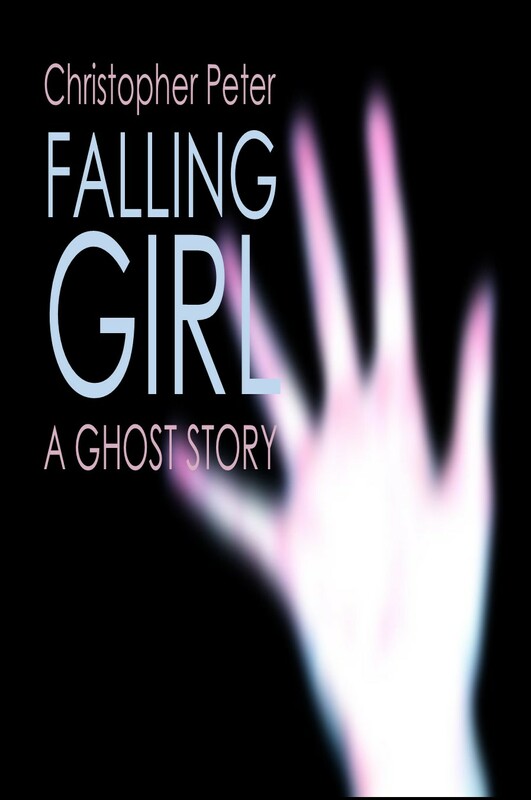 I’d love to be able to price my paperbacks lower than they are, but until recently I’ve had to put out both BASIC Boy and Falling Girl at US$5.99 / £4.99, much more than the Kindle editions, and that’s still making very little royalty per copy. The only way I could possibly price much lower would be to commission a high speculative print run, outside of POD, which would mean significant up-front costs running into thousands of pounds – and a house crammed with boxes of books. And how would I sell them? I think we all know that getting self-published books into the average bookshop is mission impossible. Perhaps there are other channels though. I’ve toyed with the idea of a market stall, or perhaps a collaboration with other local self-published writers. But I haven’t yet been brave (or stupid?) enough to take that kind of risk. I have however donated copies of both books to my daughter’s high school library (much to her embarrassment). I figure that any exposure is a good thing, even if I make no money from it. One thing I have done recently is to reformat the paperback edition of BASIC Boy. By reducing the text point size and margins and removing the table of contents (not really necessary in the paperback) I’ve managed to knock almost 20% off the page count, without compromising readability too much I hope, and that has enabled me to reduce the price to US$4.99 / £3.99. I plan to do the same with Falling Girl next. I’m not kidding myself that this will kick-start mega sales, but I just like the idea that people can buy my paperbacks for a slightly more reasonable price. And if I do want to buy any more books to sell on or give away – perhaps to more local libraries – then it’s become more affordable to do so. At the same time I refreshed the covers, having noticed that the bright on-screen e-book colours became darker and murkier in the paperback, so I made the paperback edition colours lighter. The new cover designs are below (feedback very welcome!). I’d be interested to hear of other people’s experience of selling their print books. How have sales compared to the e-book versions, and how and where have you sold them? I don’t have the answers; I just believe that there’s still a place for both the print book and the e-book, and the print may be able to offer additional opportunities that would be unwise to ignore. 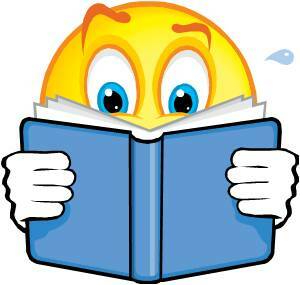 This entry was posted in Marketing, Opinion and tagged Book marketing, books, e-book, print, selling. Bookmark the permalink. I think I’m going to put my book on createspace someday, but just so that I’ll be able to get a physical copy of it for myself xD I doubt that anyone would want to buy the physical thing. Thanks for commenting. I agree that getting a physical copy for yourself is a good reason for putting out a paperback edition. But I think you might be surprised about other people wanting to buy it – not many, maybe, and it’s probably partly dependent on price, but I think a few would buy it who wouldn’t if it’s only available as an e-book. Not everyone has an e-reader, and many people still prefer print. Hi Chloe – I accidentally posted my reply to your post as not a reply – see below! Thanks for commenting. Yes there are pitfalls with print, not least the risk of incurring cost you may not recoup. But a no-upfront-cost programme like Createspace (assuming you don’t pay anyone else to do layout or design) is pretty much zero risk. The drawback is the relatively high unit cost of the resulting product.